Amazon isn’t just the biggest online retailer in the United States anymore. It’s also one of the biggest consumer electronics makers out there. Amazon’s various device lineups are wildly successful and span several popular categories. 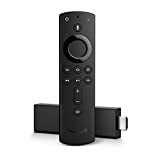 From smart speakers and streaming media devices to E-readers and home security cameras, Amazon’s devices offer unprecedented bang for your buck — and that’s when they’re on sale at full price.